2016 has been a monumental year for new video production trends. These new trends have significantly changed the industry. Marketers are now budgeting differently in order to create more content, adjusting content so that it is compatible with social media platforms, and creating content that has high image quality and incredibly creative visuals. Making more cost-effective videos will lead to more entertainment without sacrificing quality. This new trend has been around for a while but has recently become very popular. Live streaming events makes content more accessible to the community. Live streaming events has become the new “must do” thing in today’s society. The NFL offers live streaming, as does Apple for their new releases and talks, and many more companies and organizations also offer this amazing feature. By adding multiple cameras when live streaming an event, you can reach people anywhere. This trend shapes the marketing strategy because events are made accessible to those who cannot personally make it to an event. Most video production companies are able to squeeze enough money into the budget to add drones as a must-have part of the film. Drone footage is used to take aerial shots. In the past the only way to get them was via helicopter. However, for video production companies to hire a helicopter to take shots would be much to expensive. By using drones, companies can add some truly captivating shots in a cost effective way. Marketers are demanding higher image quality in videos. This is something that marketers have used more often this year. Being able to produce videos with increasingly higher image quality has improved viewer retention ratings. Video production companies should be producing videos with higher image quality. Higher image quality means that more people are likely to want to watch the videos that the company or organization is creating. 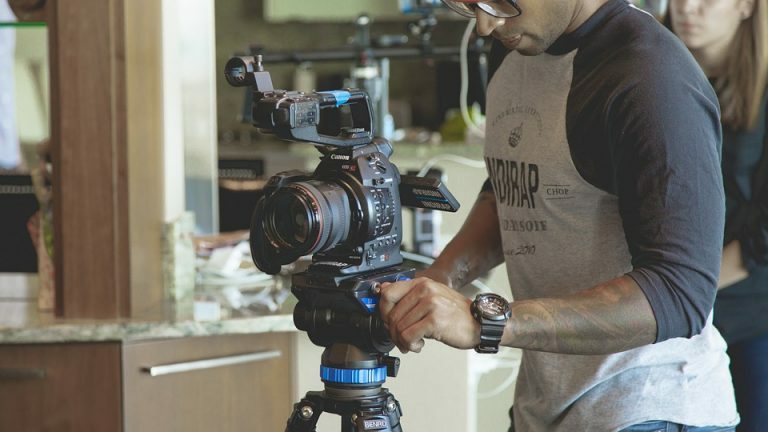 When it comes down to why this helps marketing, it allows viewers to see that the company creates high quality videos. When viewers believe the videos are high quality they will assume the products are also of the same value. Using animated videos to your marketing campaign significantly improves the quality of your marketing. We have seen many more animated videos used in marketing in 2016. These videos help to deliver a specific marketing, product description, or other type of message to viewers. For example, an animated video is used to keep a viewer’s attention when a concept or idea isn’t incredibly exciting. A marketer can use this tool to help their marketing campaign. These videos offer an engaging experience for all types of viewers. Animated videos help to attain the attention of its viewers unlike any other type of video. This is the main reason why these videos are trending in 2016. Here at AVP we have experienced staff in marketing, video production, and graphic design that can help you get started right away!